The invention of PANATURA® started in 1998 by three entrepreneurs, being the perfect combination of Research & Development, Production and Sales. Meiert J. Grootes and René Burgermeister are still shareholders of the Swiss PANADORO GROUP. Major shareholder and CEO Meiert J. Grootes comes from a family of chocolate manufacturers, representing its seventh generation in the food business. The three inventors applied for various patents for the PANATURA® formulation and the manufacturing process in Bern in 2002. The same year the PANATURA® brand was trademarked at the Federal Institute for Intellectual Property in Bern. The PANATURA® concept was then launched at the World Day of Bread on October 16, 2002. The first license agreement was signed December 2002 with the main Swiss yeast factory “Hefe Schweiz AG”. They started the industrial production of PANATURA® starter dough in January 2003. After the launch at the Swiss Baker‘s exhibition February 2003 PANATURA® has successfully conquered several European countries e.g. Germany, Holland, UK, Italy, Spain and Austria. In 2006 the next significant license agreement for the Asia Pacific region was signed between the Interflour Group in Singapore with their subsidiary Intertech Asia in Kuala Lumpur, Malaysia. 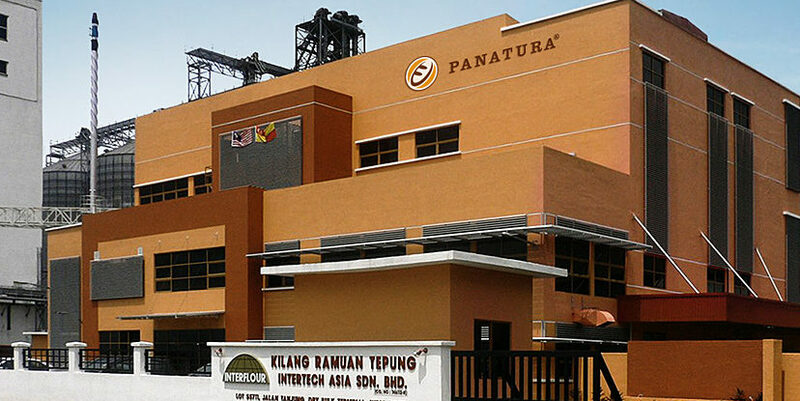 The major milestone in the development of PANATURA® was the inauguration of a flagship biotech factory in Port Klang, Malaysia for the industrial production in August 2008. With this new site, not only the existing production capacity of PANATURA® was multiplied – from now on PANATURA® was also available in granulated form. In 2011 the next license agreement for Europe’s biggest bread market Germany was signed with Deutsche Hefewerke, the number one yeast producer. Today PANATURA® ist available in most important markets of Europe and Asia as well as in Middle East, Africa, Australia and New Zealand. US licensed production is expected to begin in the second half of 2018.